Original Owner: Copied from a manuscript belonging to Mírzá Ahmad Yazdání. 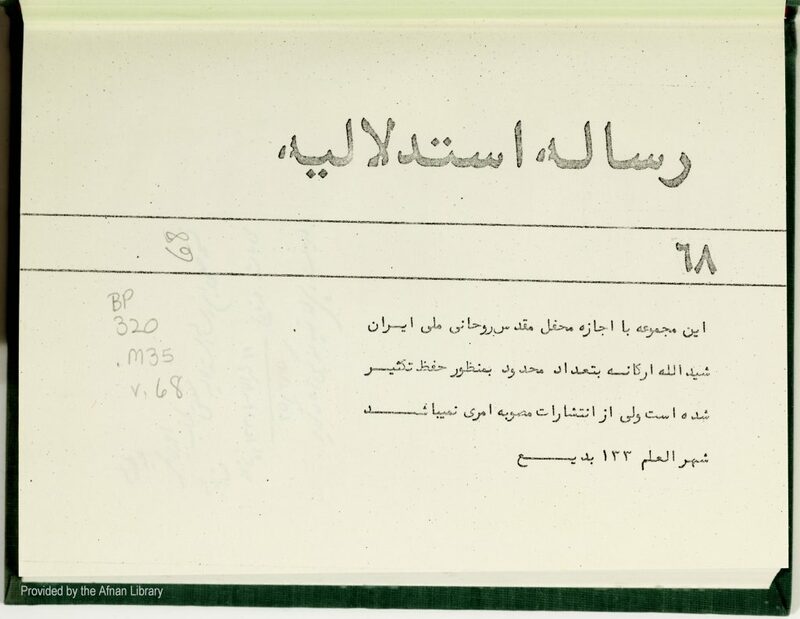 Description: This manuscript differs from the published book Gulshan-i Haqá’iq (Tehran: n.p., n.d. [1940s]), in that the third and fourth sections of the manuscript are printed first and second respectively in the book followed by the first and second sections of the manuscript. 408 pp. of ms. (412pp. of PDF).